Promoter Frank Warren, in speaking with talkSPORT, says the fact that WBC heavyweight champ Deontay Wilder did not go to DAZN is “good news for us, from Tyson Fury’s point of view.” Warren says he is certain negotiations between Fury and Wilder will begin again as soon as both unbeaten giants take care of business in their next fight – Wilder against Dominic Breazeale on May 18, Fury against TBA on June 15 – and that the two will fight again before the year is out. 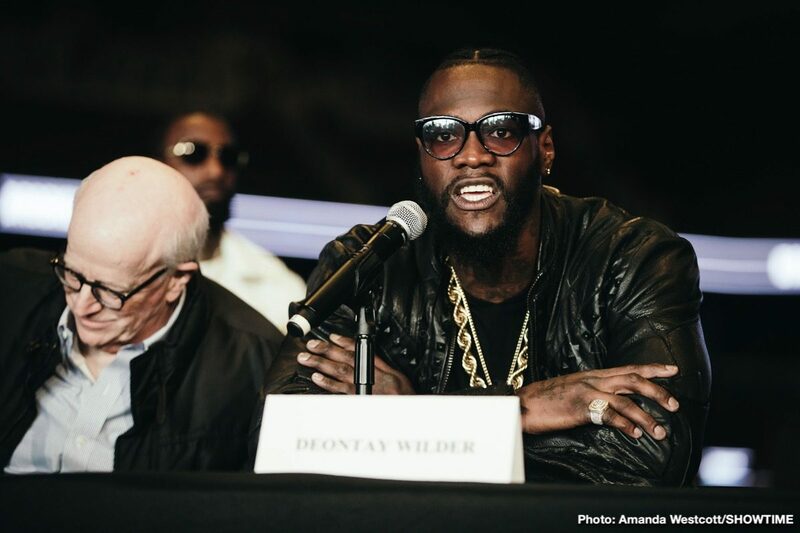 While a good number of people were disappointed when Wilder turned down the massive money that was reportedly on offer for him to go with DAZN (plenty of these same people also stating that Wilder must be nuts to turn down that reported $100 million! ), Warren says it will make the return fight with Fury both easier to make and that it will make the sequel even bigger. Warren went on to say that “all his foreseeable fights will be in the States” and that there are “three or four guys” being looked at for Fury’s next fight. And then, all being well, the big rematch between fury and Wilder will then take place. The draw from December thrilled millions and a return, either televised on ESPN or on Showtime, would no doubt attract even more viewers. So, we may not see Wilder or Fury fight Anthony Joshua this year, but we could see them fight each other again. Let’s hope so.